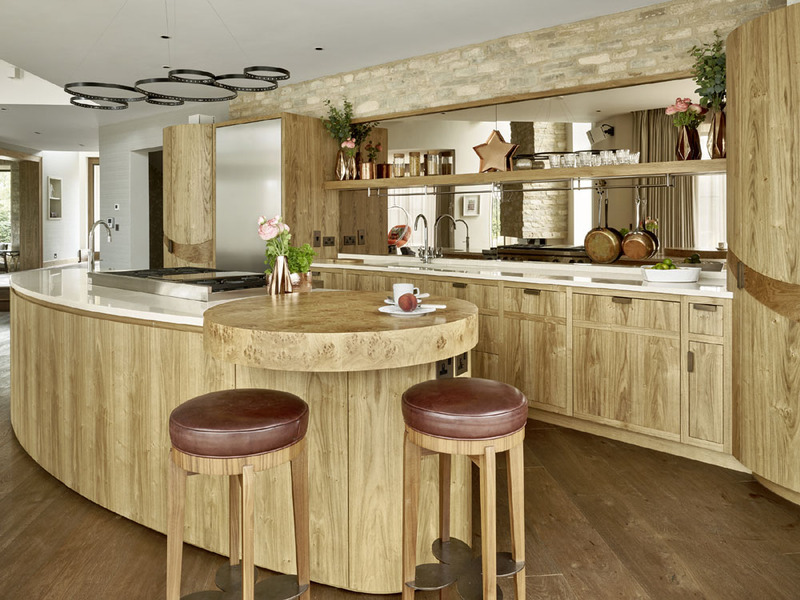 The William Garvey team have completed many stunning kitchens over the last 40+ years but this kitchen installation at a house in Berkshire has really set the bar high. Working closely with Lisa Mitchell at the Interior Style Studio, the end result shows the quality and finish that you would expect from a furniture company with over 40 years of experience, making and installing beautiful freestanding and fitted furniture. The concept design for the curved kitchen was by SplinterWorks, and employed detailed design development by WG with extensive use of William Garvey’s CNC machine to create the flowing curves, and challenged the skills of our highly experienced craftsmen. The end result proves once again that the William Garvey team provide great communication, excellent client support, precise drawings, detailed quotes and a great all round service for our clients.